Michael Jackson had a secret love affair with Whitney Houston at the height of her career and even dreamed of someday walking down the aisle with her, this according to The Sun. Apparently Michael was smitten with Whitney after a series of “romps” at his Neverland ranch and could never quite get over it when she ended the relationship. 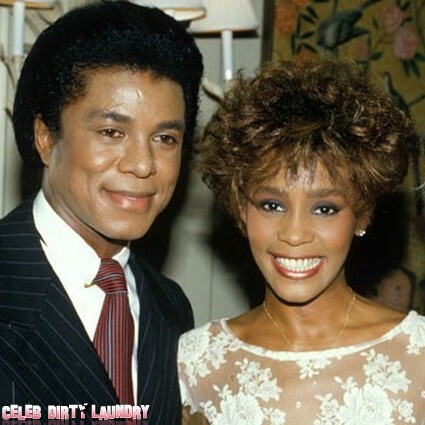 Their affair came a whole six years after Whitney slept with Michael’s older brother Jermaine, also according to The Sun. You might be asking yourself how The Sun got this inside scoop, well it was Michael’s bodyguard who recently revealed all, most likely for a huge amount of cash, why else would he come forward now? The bodyguard goes on to claim the Michael was impotent because of his excessive drug use, was a Nazi sympathizer, was haunted by baldness, anorexic and full of needle marks that he claimed were spider bites. Wow, I think Michael would be turning in his grave to hear his body guard say all that! Fiddes also famously claims that MJ’s son Blanket is really his! He goes on to say, “One of the many stories that has never been told about Michael is that he had an ultra-secret affair with Whitney Houston that he never got over and he was furious when he heard she had also slept with Jermaine but this didn’t stop him holding a candle for her his whole life. They met because they were two of the biggest recording artists on the planet and mixing in the same circles. They instantly connected as kindred spirits because they understood each other’s massive fame. 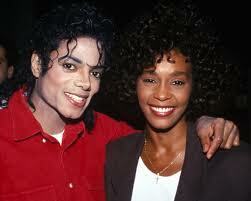 Whitney practically moved in to Michael’s ranch and they had a fling like any other young couple. But Michael said later he had always hoped the relationship had gone further, and I know he dreamed of marrying her.” Yeah, because he was in the dream with Michael, right? The affair only lasted two weeks and a year later Whitney was married to Bobby Brown who sent her into a spiral of addiction. But regardless, would she have ended up any better with Michael? Probably not, considering that he ended being an addict just like her. Roll the calendar to 2001, the two reunited at New York’s Madison Square Garden to celebrate his 30 years in pop, “They were both a mess, to be honest. They shared what would be their final hugs and Michael begged Whitney to get off the drugs that were destroying her life. The two of them whispered that they loved each other as they hugged. The emotion was written all over their faces.” Wow, how ironic is that for Michael to be begging Whitney to get off of drugs?